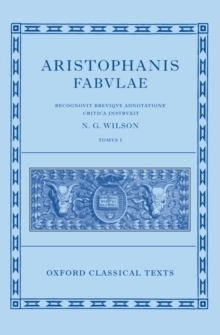 This new edition of Aristophanes is intended to replace the previous Oxford Classical Text published in 1900-1. 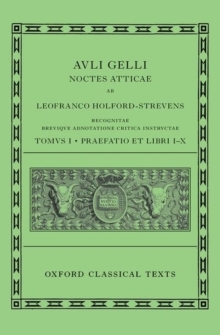 Since that date it has been possible to construct a far better picture of the transmission of the text from antiquity to the age of printing and to obtain reliable reports of other significant manuscripts. 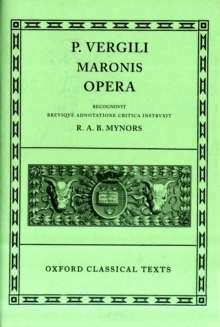 While some of the new information has been taken into account for recent commentaries on individual plays, there is no easily available complete edition. Though the text of the plays is better preserved than that of Greek tragedy, the editor has thought it desirable to record or adopt a fair number of conjectures, some of them little known or unjustly disregarded; in a few passages he has ventured to offer suggestions of his own.